Cale Dodds is still swinging with some good songs. 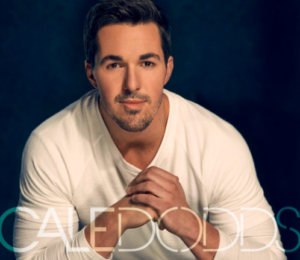 Cale Dodds is no stranger to us here at CML. We’ve been writing about him for at least a few years. He’s been popping up with new music just about each year for the last 2-3 years or so. He just released a new single and it popped right up on New Boots on Spotify. I’ve been really liking the music that’s been included on that playlist the last few months. Normally I stick with Hot Country and Wild Country, but that New Boots has been featuring some really good tunes. Some are a little progressive, but I like that mix. Anyway, check this new one out and see what you think. The big thing for me with this one is the sound and style. A little on the progressive side. Uptempo. Very catchy. The more I listen to this one the more it kind of works its way into my head and stays there. The phrasing works really well. It sounds like something you’d play over and over while working or in the car. The lyrics have some depth too. We have a guy that’s really thinking about what’s going on with his relationship with this woman. It sounds like they’ve been on and off in the past. He can see that they probably shouldn’t be together. But he always finds himself going back. It’s like he needs a detox to get her out of his system. This is a good song. I’m curious to see if it’s the one that breaks Cale into the next level of success in country music.